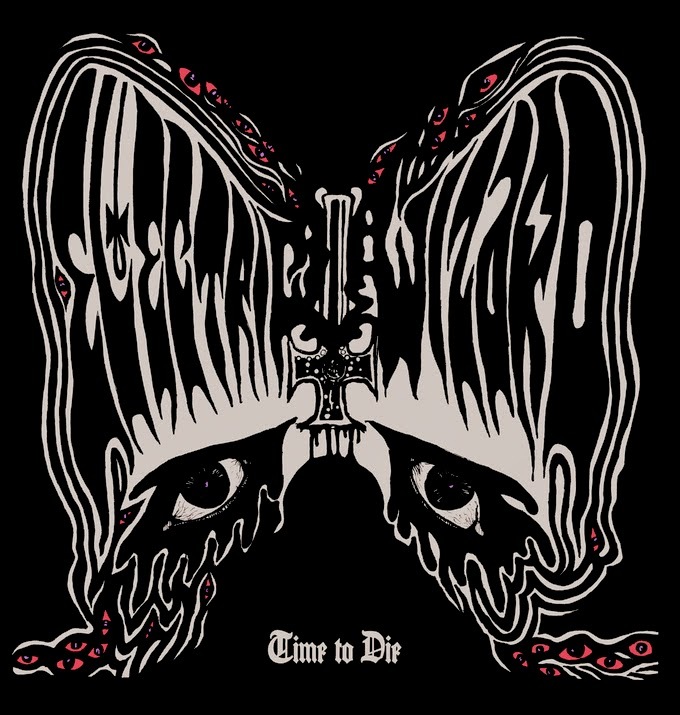 Electric Wizard are one of the biggest bands in the doom universe for sure. They have been carving out their own sizeable piece of the pie for some time now, from obscurity to headline shows at The Forum. From “Come My Fanatics”, to “Dopethrone” to “We Live” to “Witchcult Today” to others that people pick as their best and argue endlessly about, each album has been different- still recognisably The Wizard, but different nonetheless. Many were disappointed with “Black Masses”- I enjoyed it a lot at the time but haven't put it on much since- and maybe that says something, maybe it doesn't. Naturally, there are samples of horror films, there is a vibe not dissimilar to Hammer's most seminal film work that prevails and the album is certainly less accessible than anything Uncle Acid and The Deadbeats have done- it is feral, nasty and lo-fi. All good, there, then. Greening makes his presence felt from the off with caveman rhythms and a sense of groove that was missing from Black Masses (abysmal sounding) drums. 'Incense For The Damned' delivers on all levels, that's for sure. The title track even has a lead break amongst the trippy vocals and blinding hate. It's true, The Wizard are misanthropes- hatred for all mankind writ large over all they do. Good. I would never want that to change. 'I Am Nothing' is eleven and a half minutes of creeping dread, with a crushing riff of monolithic proportions. 'Destroy Those Who Love God' is a beast, too - fuzzed out, samples aplenty and creepy organ (hitherto unmentioned, but there earlier on in the record...). The effect is quite hypnotic. All the elements that have been mentioned may leave neophytes thinking”So what? I've heard loads of doom, why do I need to hear this?” Well, there is no easy answer. It's like trying to explain why Maiden are in a different league from Saxon. On paper, all's equal, but in reality.... Same thing with Electric Wizard and all other doom really- they have more of what any doom band needs. They are just... better. 'Funeral of Your Mind' will ram that point home nicely- positively up-tempo for this bunch- it's catchy but still other worldly and niche. Anyone could enjoy Blood Ceremony or UAATD, but The Wizard are not people friendly. They are unpleasant and gritty in a way that you either get or you don't. 'We Love The Dead' brings us nine minutes of sounds that evoke blue lens filtered English countryside and candles burning down to nothing in the gloom. It's creepy stuff, sinister and savage at the same time. 'Sadiowitch' is the nominal “single” here. Percussively memorable and a nice aural snack for a band that doesn't operate in this form that often. 'Lucifer's Slaves' is exactly the kind of biker hell you want it to be, while 'Saturn Dethroned' closes the whole shebang on a strangely muted note of drama and satanic fairground inspired atmosphere. In conclusion, Electric Wizard remain at the top of the doom tree (should that be bottom of the doom well?) and have delivered another uniquely Electric Wizard-esque album. No-one else is quite on the same level, you see. A real chef makes a better meal with the same ingredients. All hail.